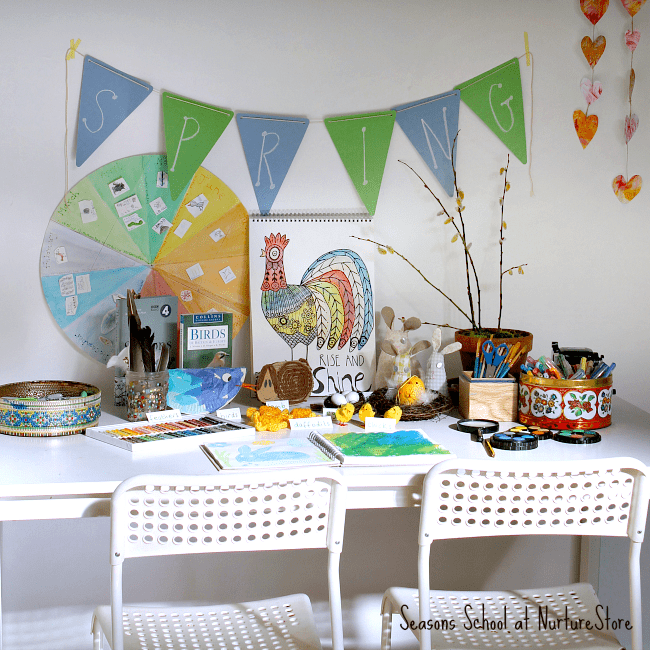 The Seasons School Spring Units are centred on project-based learning, covering the topics of daffodils, seeds and shoots, and eggs and birds. As we criss-cross the traditional curriculum, to promote interest-based, hands-on learning, literacy is woven all through of the individual units, rather than being treated as a single subject. 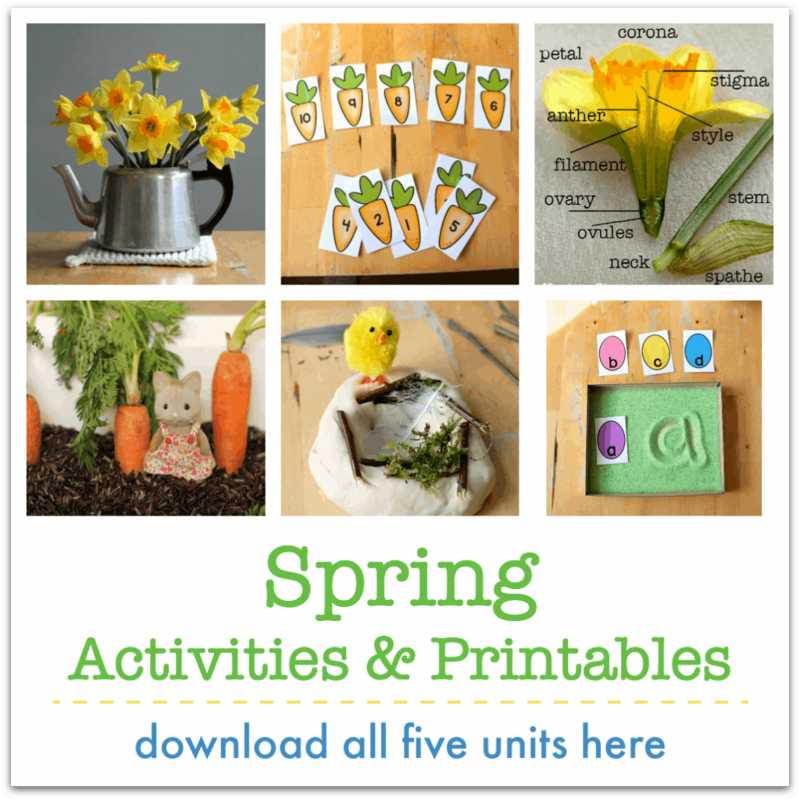 Alongside our journalling, book making, poetry writing, and note taking, you’ll also find a selection of letter and word activities in the Spring Curriculum, that you can dip into throughout the season, to help your children develop their reading and writing, whatever stage they are at. Here’s a selection to give you a sneak peek. You can use these ideas throughout the season and adapt them to suit the stage of literacy that your child is learning at. Very young children may be focused on making marks and recognising letter, then working on writing letters and recognising their own name, then working on spelling and their own writing. There’s no rush, so go with your child. Some families choose not to offer structured literacy activities, and some families love them, so please feel free to use, adapt, or not use these ideas, to suit your own child. If you do like these kind of activities, you can offer them at different times through the season, so your children can meet, practise and master skills over time. They are playful, hands-on and appealing to the senses, and can make playing with reading and writing lots of fun. 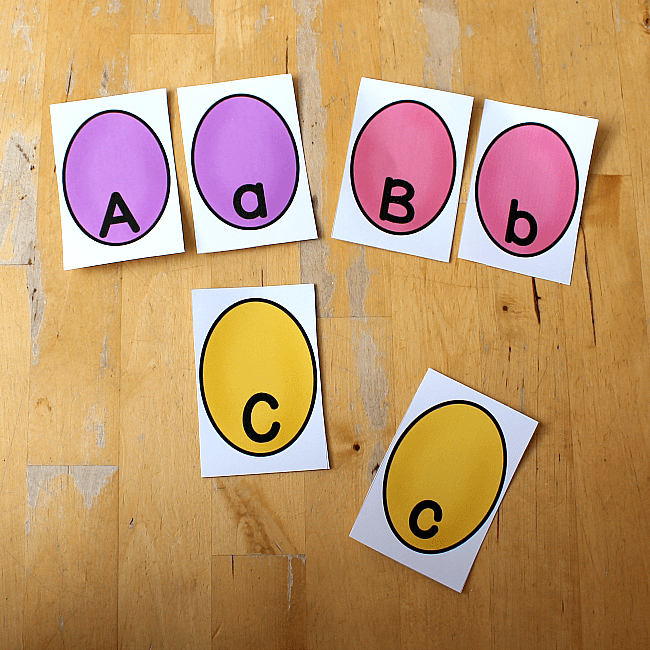 You can print your egg alphabet here. 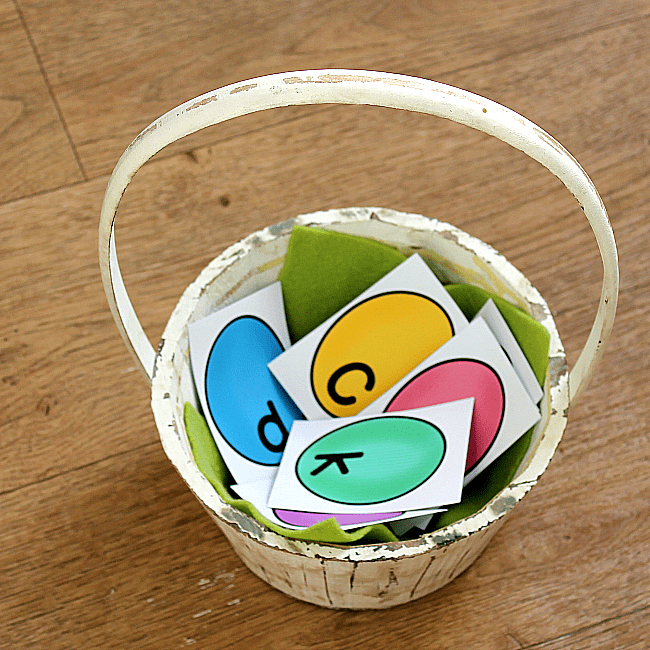 Use them for a treasure hunt indoors or outdoors – find all the letters in your name or all the letters in the alphabet. 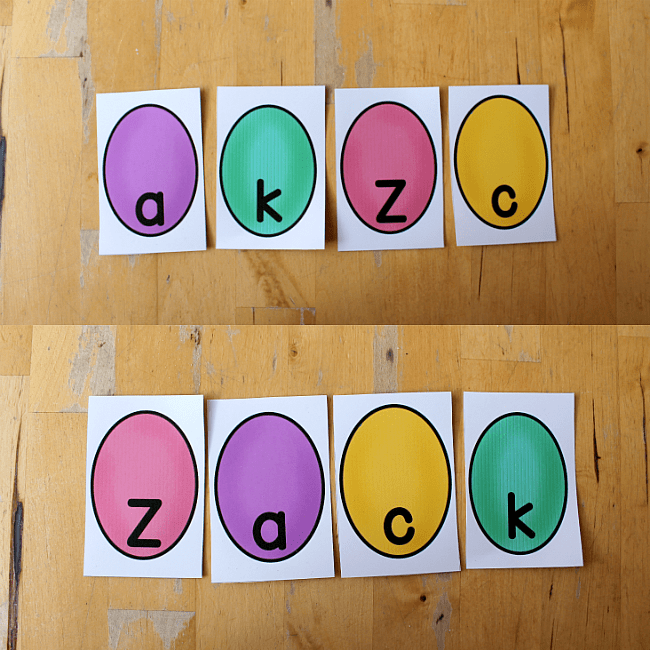 Use the upper and lower case eggs and match them up. Can you unscrambled the eggs to spell your name? 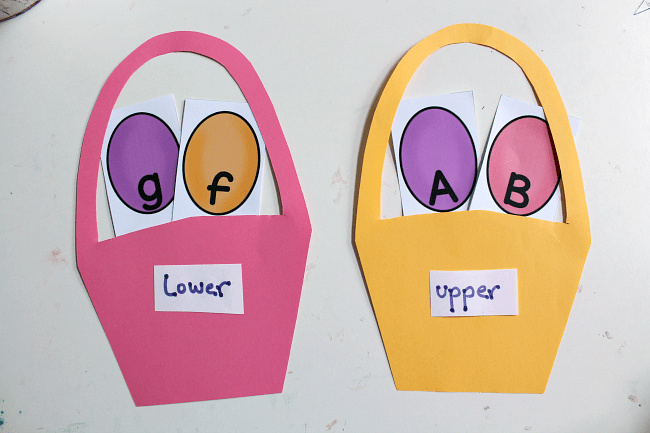 Sort your upper and lower case letters between baskets. Or sort letters in your name and letters not in your name. 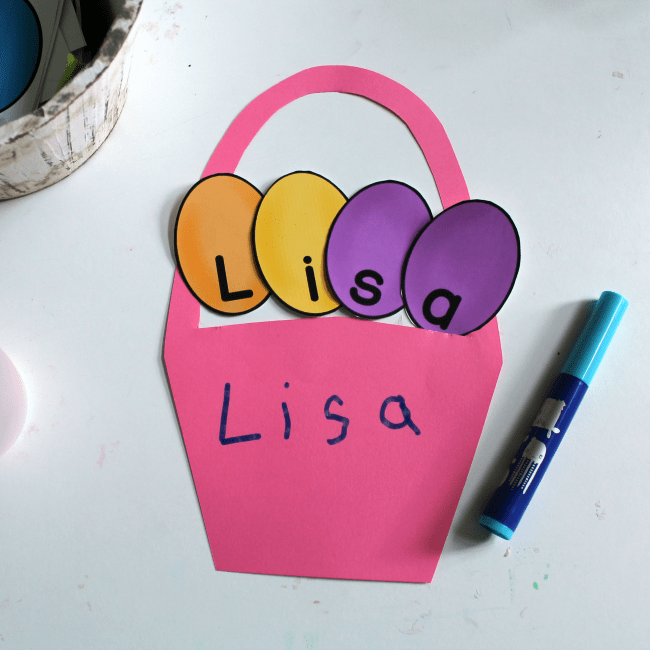 Decorate your own basket and collect all the letters in your name. 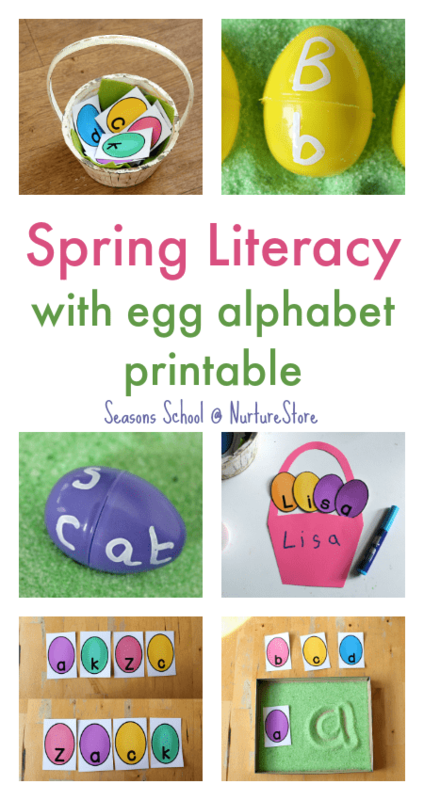 Use the eggs with the spring writing tray to copy the shapes and orientation of the letters. 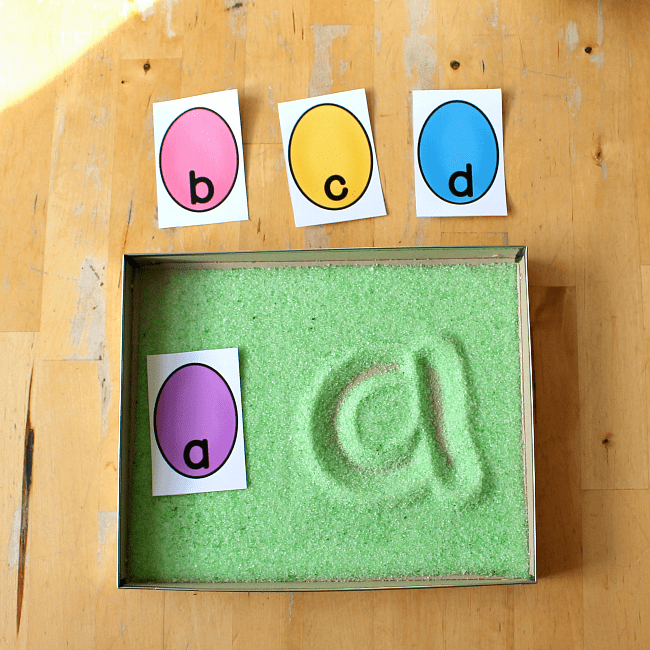 Use them for individual letters and spellings. Younger children don’t have to use letters – encourage them to make marks and perhaps copy patterns. 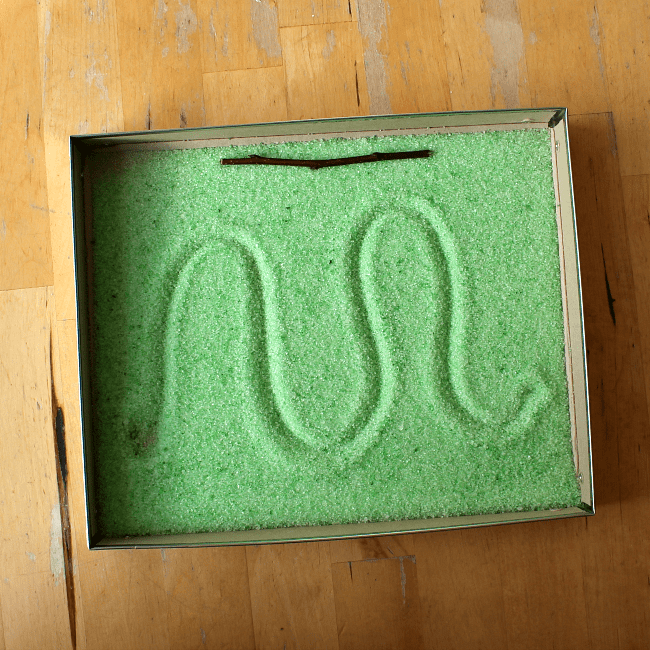 You can try some of the shapes that they will later use to write letters: lines, curves and squiggles. 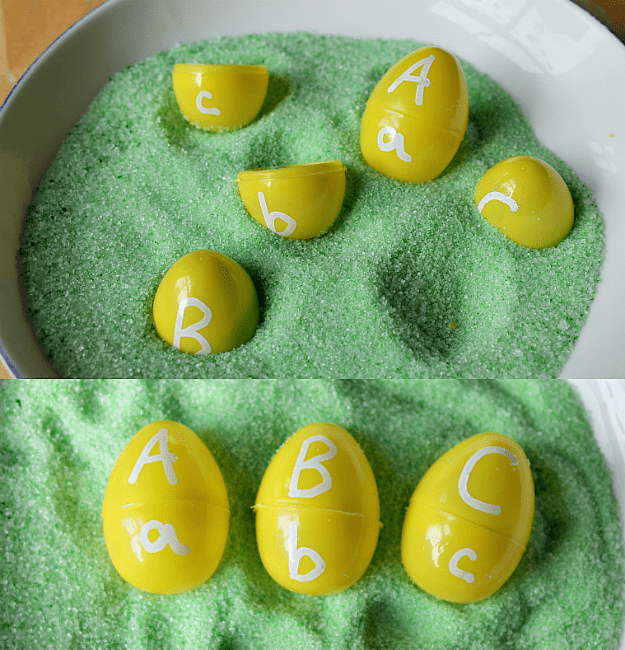 Make a set of letter eggs using a white pen on plastic eggs. Write the upper case letters on one half, the lower case letters on the other half. Hide them in a sensory tub and see if you can find them and match them together. Make word family eggs. Write the stem sound on one half, and a variety of completing letters on the other half. 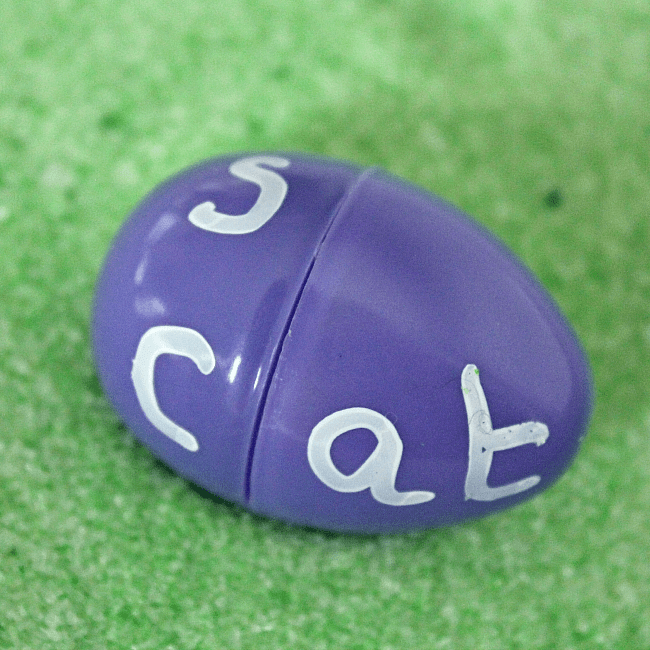 Twist around the egg and read aloud each word. You could write them out in your spring writing tray.